Not setting the bar low. Given how much he’s been in the public eye in the United Kingdom in the last few years, it’s hard to believe that Barlow hasn’t put out a solo album full of original material since 1999. After a largely successful era with 1997’s Open Road, his first solo album after the breakup of Take That, it was another two years before Twelve Months, Eleven Days reached stores and unfortunately, it was one of the low points of his career as both the singles from it and album itself failed to achieve significant peaks. You can blame it on the musical tides shifting and a so-so crossover into the States for the loss of momentum in his home country. He did go on to lead a successful reunion of Take That in 2005, then gained prominence as a songwriter, and now finds himself judging another season of The X Factor in the U.K. and promoting this new single of his. It’s the leadoff release from Future, due on November 25, just in time for the holiday rush. Barlow last made it onto the charts with a #1 single, “Sing”, a song to commemorate the Diamond Jubilee which was performed with a collective group of musicians, The Commonwealth Band. Can his foray back into pop music connect with the British public as he did in the 90’s? Look for it to premiere in early October with a potential release date of November 18, the week before the album. However, there’s no been confirmation of it; it’s just my expectation given the schedule right now. Coming off a huge summer tour and his first #1 album in six years, Take The Crown, Williams is back on top of the British music scene again and looking to maintain that presence with his latest release. However, he won’t be doing it with his usual mainstream pop material; he’ll be going to back to the swing era once again with Swings Both Ways, on Island/Universal Records. It’s out on November 18, also cashing in on Christmas sales. 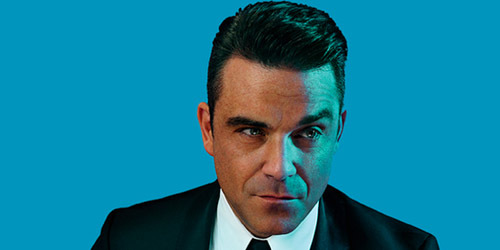 The album features seven original songs and six covers and features a number of duets with popular acts like Kelly Clarkson, Lily Allen, Michael Bublé and Olly Murs. It’s now been 12 years since his first fully swing album, Swing When You’re Winning, was released and certified 7x Platinum in the United Kingdom alone. A collaboration with actress Nicole Kidman, a cover of “Somethin’ Stupid” (originally recorded by Frank and Nancy Sinatra), went to #1 there for three weeks. Preview track “Shine My Shoes” from this album, not promoted as an official single, made the lower rungs of U.K. Singles Chart recently. “Gentle” was co-written by Williams along with Guy Chambers, a longtime collaborator with him on his first few albums like 1998’s I’ve Been Expecting You and 2002’s Escapology. Will the reunion of good friends and shift in sound give the superstar his eighth #1 single in the U.K.? We shall see as the track premieres tomorrow, September 27, on radio outlets there. EDIT: It appears the release of “Gentle” has been pushed back. This was edited on September 22 stating that the single was meant to be out on the 27th, which has unfortunately not occurred. Apologies to all you fans out there, but it’ll be here pretty soon. Do you have a favorite from the two singers above? 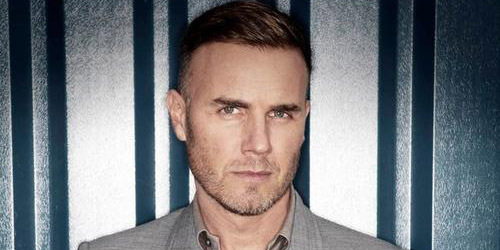 Love Gary and Robbie just as equally? Still have their posters above your bed, the lunch boxes and bed spreads? Well then, you’re quite the fan, and you should still comment below and let me know what you think or find PGTC on social media by clicking the “Get Social!” tab.